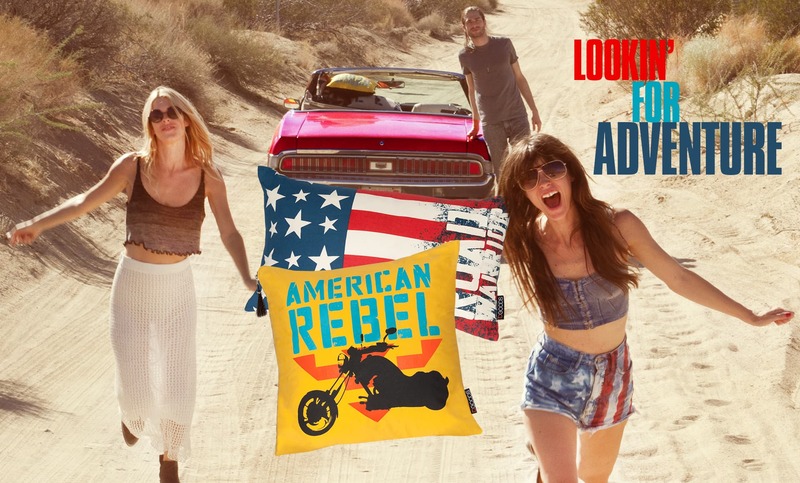 Open road ready…the American Roadtrip series draws inspiration from highway road signs and vintage Americana. 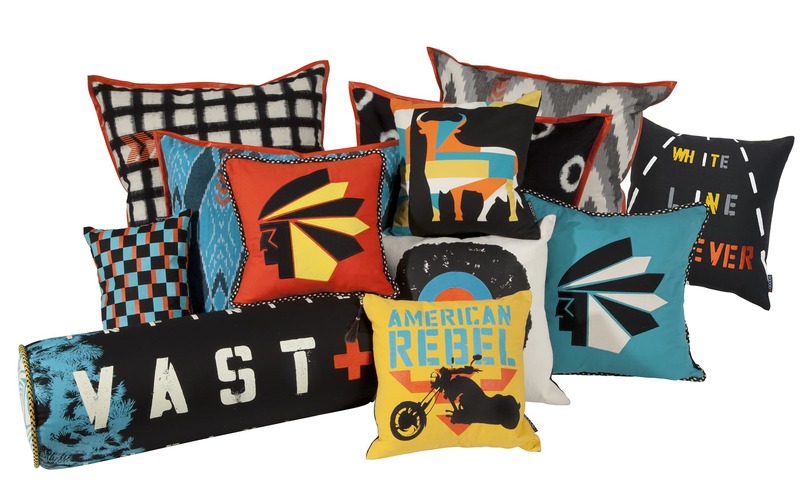 Luxe materials and bold embellishments highlight this pillow and accessory line. 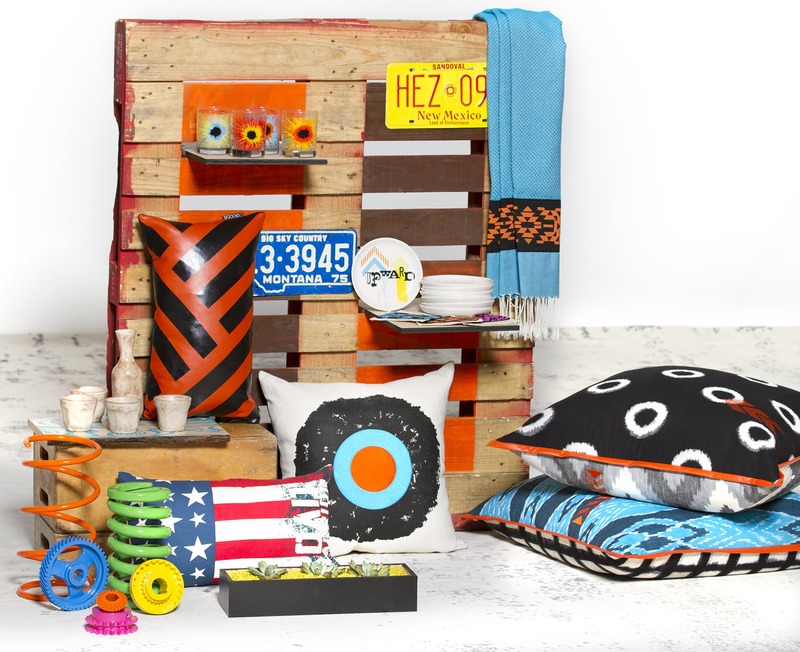 Bold graphics and utilitarian typography beg you to get out on the highway and live life. 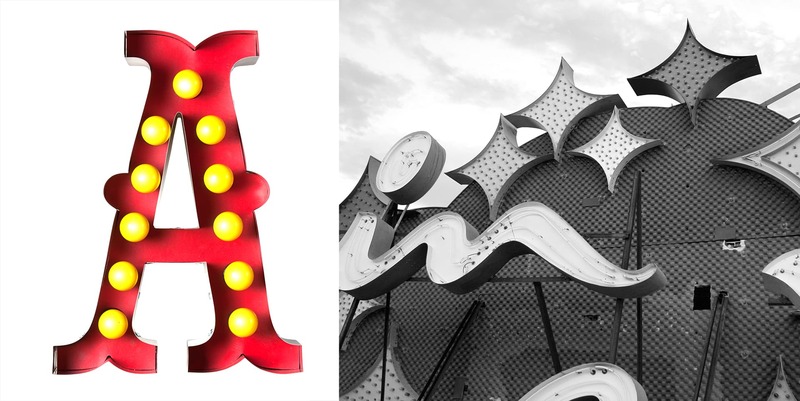 Drawing inspiration from iconic roadside signage, motels, casinos and saloons, these large scale architecturally crafted marquee letters pay homage to display typography of the past. 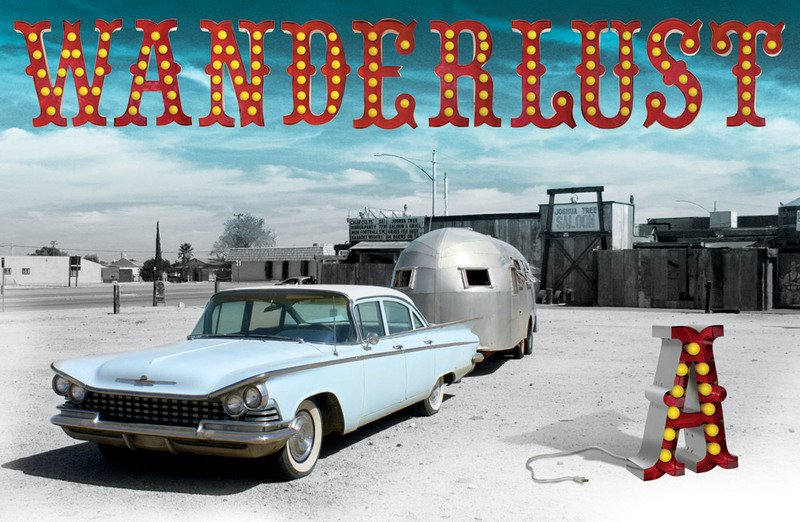 Constructed in riveted sheet metal and wood with authentic vintage era yellow bulbs, the Road Warrior letters say it LOUD in lights! Products designed for DGoods.